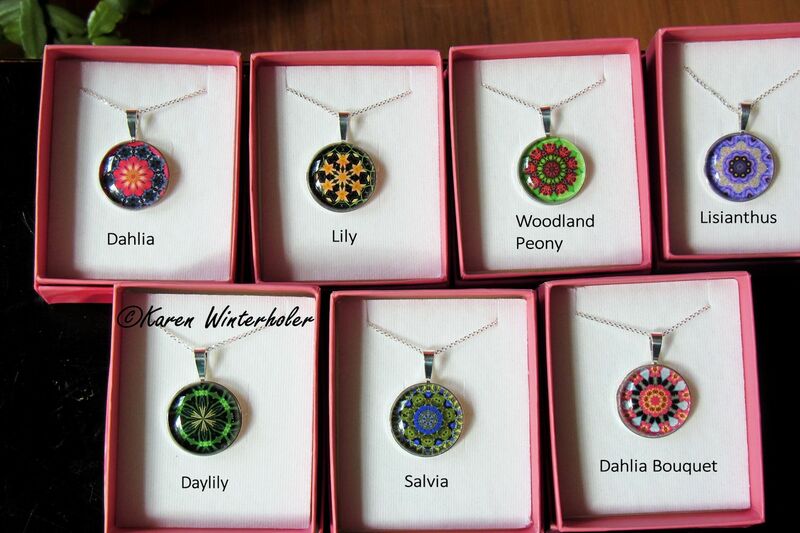 Handcrafted using the same process as the Dragonfly Eye Botanical necklaces, these necklaces begin as a closeup photograph of a flower taken by Karen Winterholer from which a mandala design is created. 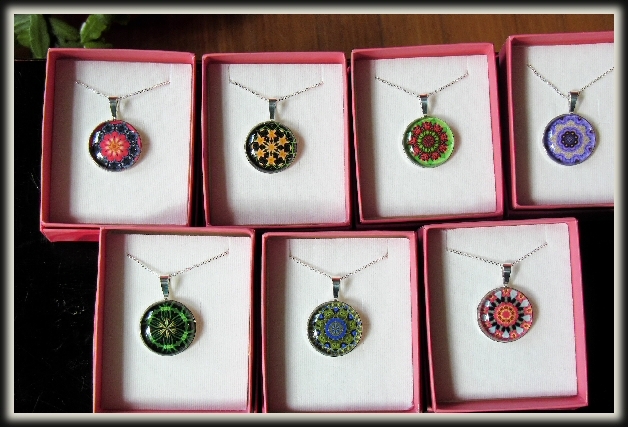 The designs are sealed under glass and placed in sterling silver bezels. Each is signed by the artist.